The decision on Rajasthan CM-designate has been delayed till tomorrow, as Rahul Gandhi would be meeting central observer KC Venugopal at 10am, before taking the final decision. AICC observers for Rajasthan KC Venugopal, General Secretary Avinash Pandey and Secretary Incharges will reach Delhi tonight and meet Congress President Rahul Gandhi at his residence tomorrow at 10 am. Congress' Central Observer KC Venugopal, deployed in Rajasthan to oversee the party's electioneering, will be apprise Rahul Gandhi tomorrow. Venugopal will be flying back to Delhi to meet the Congress president, who will take the final call on who should be the next Chief Minister - Ashok Gehlot or Sachin Pilot. Top CM contenders Ashok Gehlot and Sachin Pilot have reached Raj Bhavan, along with the delegation of Congress legislators, to submit before the Governor their claim to form next government in the state. CM probables Ashok Gehlot and Sachin Pilot are likely to fly to Delhi tonight ahead of the key decision by Congress high command on who would lead their government in Rajasthan. 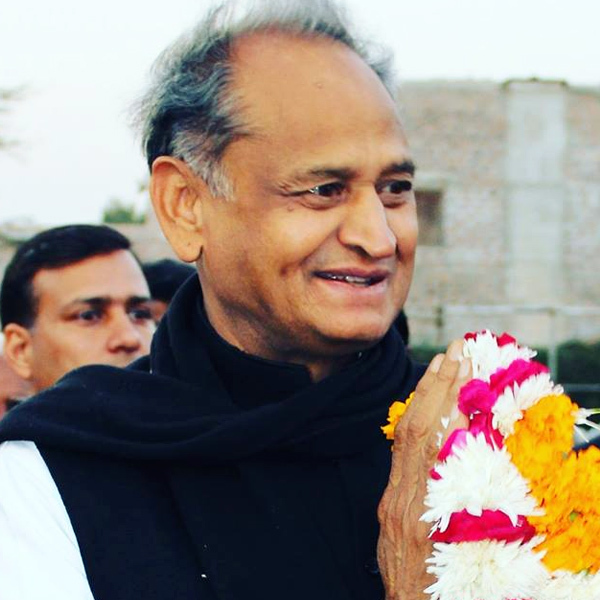 75 legislators-elect of the Congress are backing Ashok Gehlot as the next Chief Minister of Rajasthan, claimed news channel Times Now. This comes in the backdrop of contrary reports earlier in the day, which said two-third of Congress' legislature party (CLP) is favouring Sachin Pilot. A delegation of Congress leaders are expected to visit the Governor's House at 8pm. Both Sachin Pilot and Ashok Gehlot would accompany the delegation. A high-level meeting of the Congress is taking place in Jaipur. The party is set to announce the name of the CM-Designate shortly. As per latest reports, the BSP MLA from Udaypurwati in Rajasthan has backed Sachin Pilot as the next Chief Minister. Clamour is now growing for Sachin Pilot to be Rajasthan CM. 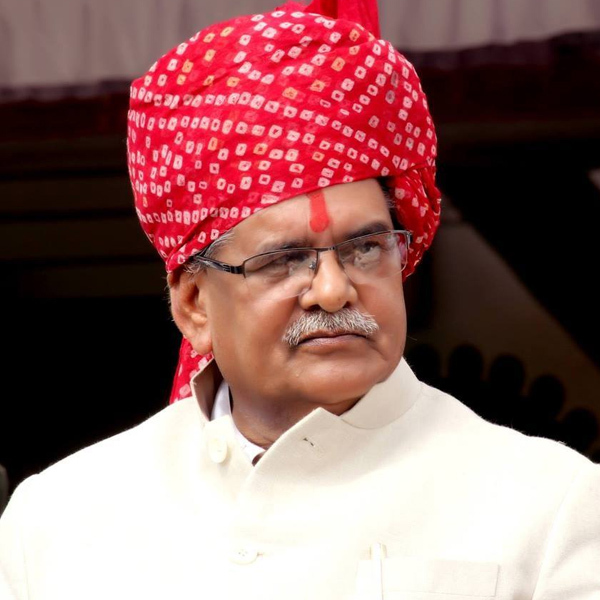 Reports say that the name of the Rajasthan Chief Minister-designate will be announced by 5 pm today. Who do you want to see as the next CM of Rajasthan? Tell us on this link. According to reports, majority of Congress MLAs as well as 10 Independent MLAs want Sachin Pilot as CM. Reports say that there is now a divide within the Rajasthan Congress as MLAs are split over who should be the CM - Sachin Pilot or Ashok Gehlot. The meeting of Rajasthan Congress MLAs to decide on Chief Minister has ended without a decision. The Congress MLAs in the state have passed a resolution asking party chief Rahul Gandhi to decide who among Sachin Pilot and Ashok Gehlot will be the Rajasthan CM. All Eyes Now on Who Will be CM - Sachin Pilot or Ashok Gehlot? While the Congress is set to form the government in Rajasthan, all eyes are now on who will be the Chief Minister. The supporters of Sachin Pilot as well as Ashok Gehlot are shouting slogans outside Congress office in Jaipur. The Election Commission of India (ECI) is expected to announce the official poll outcome shortly. The results have been declared in 190 constituencies -- with the Congress bagging 91 seats, and the BJP winning 73 assembly segments. Out of the 9 seats whose final results are yet to be announced, Congress is leading on 8, whereas, 1 Independent candidate is ahead. Chief Minister Vasundhara Raje admitted defeat, contending that the people of Rajasthan had voted against her government. The 65-year-old, considered as the tallest leader of BJP in the frontier state, said she would continue to vociferously raises the issues related to common people under her role as an Opposition leader. The Congress is set to form government in Rajasthan, as the party is expected to sail over the halfway majority mark either through its own legislative strength, or by inking post-poll pacts with like-minded parties or independent aspirants. As per the updates released by the Election Commission of India by 7:20pm, the party is ahead on 98 seats, whereas, the BJP is a distant second with 74 constituencies. The numbers may slightly wary as the counting of votes are still underway. The Election Commission has so far officially declared the results of six assembly constituencies -- out of which, the Congress has won 4, while the BJP has bagged 2 seats. After hovering around the 95-mark, the Congress has bounced back above the halfway majority mark. The party is now leading in 101 seats, whereas, the BJP is ahead in 72 constituencies. Chief Minister Vasundhara Raje has been declared the winner from Jhalrapatan seat, where she was challenged by Manvendra Singh, BJP turncoat and son of former Union Minister Jaswant Singh. BJP candidate Sam Gras Rasiya has been declared winner from the constituency of Pindwara Abu. This is the first official result declared by the Election Commission. Here is the final tally of the poll battle in the constituency. Congress state unit chief Sachin Pilot contended to the possibility that his party may fail to cross the majority mark of 100 seats. He, however, reiterated that the BJP would be ousted from power with a post-poll alliance to be inked by the Congress with like-minded parties and independent legislators-elect. "We are in touch with all those who sought votes against the BJP," he said. The Congress has slipped way below the majority mark, with the party now being reduced to 92 seats as per the trends. The BJP, meanwhile, has increased its lead to 82 constituencies, whereas, the others -- including independents, NPPP and BSP MLAs, collectively lead in 24 seats. Senior Congress leader Ashok Gehlot said the party is open to post-poll alliances to form the government. "We will take everyone along. This is how democracy functions," he said. The Congress' tally has dipped further in Rajasthan, with the party now leading in 94 seats, whereas, the BJP has increased its lead to 82 constituencies. 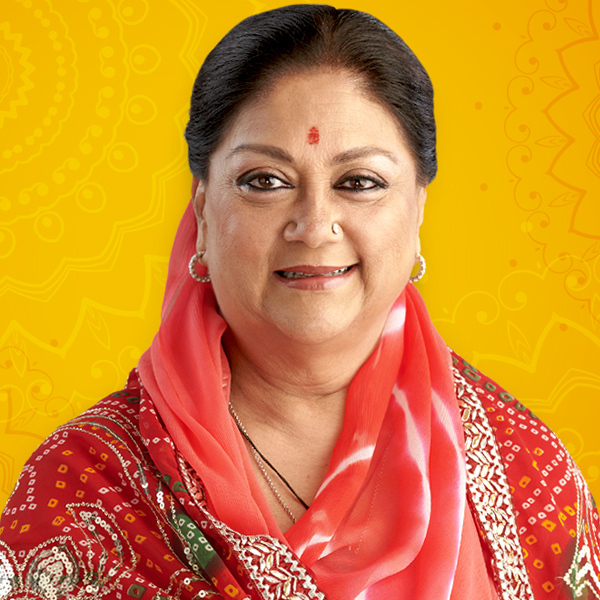 "People of Rajasthan have overwhelmingly voted against the Vasundhara Raje-led BJP government. 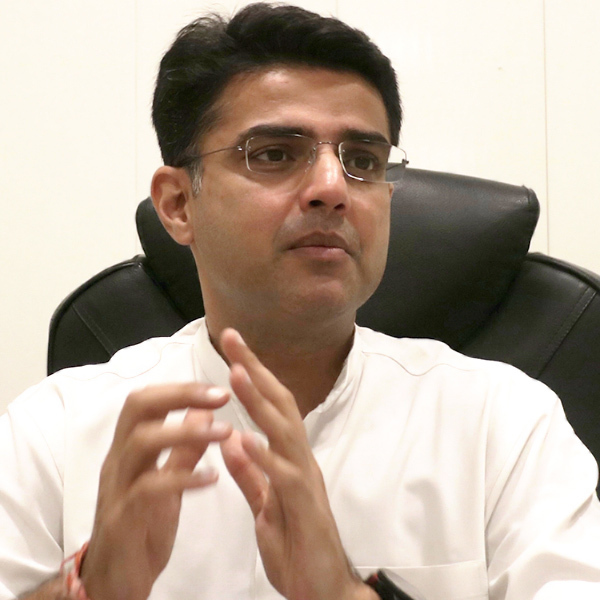 We have been blessed with the people's mandate...In Madhya Pradesh and Chhattisgarh as well, the BJP has suffered a setback," said Sachin Pilot, who is among the frontrunner to secure the chief ministerial post. Minutes after the Congress came down with leads in 95 seats, the party is now ahead in 102 constituencies. The BJP is trailing, with leads in 79 assembly segments. Battle has turned cliffhanger again in Rajasthan, with Congress' leads reducing to 96 seats. Till 30 minutes ago, the party was leading in 108 constituencies. The BJP, meanwhile, is now ahead in 84 constituencies. As per the latest trends which have emerged, the Congress has crossed the halfway majority mark, and is leading on 108 constituencies. Whereas, the BJP is ahead on 76 seats. As per the updates released by the Election Commission, the Congress is leading in 65 constituencies, with a vote share of 31 per cent, whereas, the BJP is ahead in 43 seats, and has secured a vote share of 21 per cent. Congress has regained lead in 90 constituencies, whereas, the BJP is ahead in 78 constituencies. Either of the parties will have to cross 100-seat mark to achieve a majority. The Congress is inching close to the majority mark in Rajasthan, with its candidates registering a definite lead in 88 seats, news channels reported. The BJP is ahead in 72 constituencies. Sensex down by nearly 400 points as Congress looks to wrest Rajasthan and Chhattisgarh from the Bharatiya Janata Party (BJP). BJP has narrowed the gap and extended its lead to 68 constituencies. The Congress is ahead in 78 seats. Congress workers have gathered in large numbers at party's state unit president Sachin Pilot's residence in Ghaziabad. Celebrations have already begun, with crackers being burst and sweets being distributed among the cadres. The Congress has extended its lead to 77 constituencies in the state, whereas, the BJP is ahead in 55 seats. Reacting to the early trends, BJP general secretary Kailash Vijayvargiya said the party would review the reasons it fails to retain the state. As per the trends emerging, the Congress is inching towards the half-way majority mark, with the party leading from 71 constituencies. The incumbent BJP, meanwhile, is ahead in 49 seats. Congress has extended its lead on 54 constituencies, whereas, the BJP is ahead in 34 seats, said ABP News citing the latest trends. As per the trends released by news channels, the Congress has extended its lead in 39 constituencies, whereas, th BJP is leading in 17 seats. Congress leader Sachin Pilot is leading from Tonk constituency, whereas, Chief Minister Vasundhara Raje is ahead in Jhalrapatan. Overall, the Congress is ahead in 21 seats, whereas, the BJP is leading in 9 constituencies. As per the early trends emerging from 12 constituencies, the Congress is leading on 7 seats, whereas, the BJP is ahead on 5. Counting of votes for the high-stake assembly elections 2018 has begun in the five states which went to polls. Stay tuned here for the fastest results news updates emerging from Rajasthan. Counting of votes across the 199 seats contested in Rajasthan assembly elections 2018 is scheduled to begin at 8am. Stay tuned here for the fastest updates. Polling in three Lok Sabha constituencies of West Bengal on Thursday at 7 am and would continue till 6 pm in the evening. The main contenders for second phase include CPM, TMC, BJP and Congress. Reliance Industries chairman Mukesh Ambani has endorsed Congress leader Milind Deora in a campaign video released by the South Mumbai Lok Sabha candidate on Wednesday and extended his support for the leader. Voting for the second phase of the Lok Sabha Elections 2019 is taking place on April 18. Polling is taking place on five seats of Bihar. The teaser of India's Most Wanted caught our attention a couple of days back with its interesting premise. A man hurled shoes at Bharatiya Janata Party (BJP) spokesperson during a press conference in New Delhi on Thursday.